Our vocational schools and colleges offer a great variety of training programs in various occupational fields – ranging from health, through chemistry and biology to business and tourism. Your professional career starts here with us if you have a lower or intermediary secondary school leaving certificate, general or subject-specific university entrance qualification. 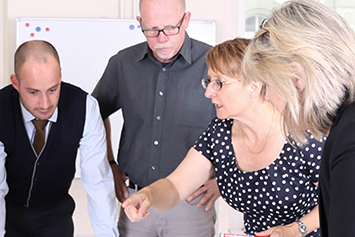 We operate several higher education institutions in Germany and abroad offering an extensive range of classroom-based and online courses, which can be completed in full-time or part-time study. Our courses lead to a bachelor’s or master’s degree. Excellent graduates are welcome to do their doctoral degree with us. Our academies provide continuing education courses for specialists in various industries who want to prepare for their next career move. We organize conferences, seminars for specialized further training and special leadership programs for executives. We see education as the key to success in life. We educate people who want to make a difference. We teach the skills and competencies in demand now and in the future. COGNOS AG is one of the largest private and independent business-oriented education providers in Germany. 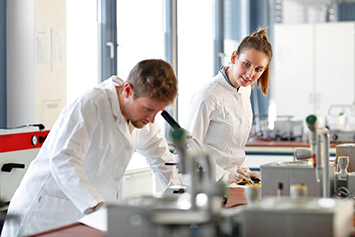 We operate vocational training institutions, higher education institutions and academies for continuing education in Germany and abroad. We are also actively involved in further educational institutions. The majority shareholders of the COGNOS AG group are the entrepreneurs Ludwig Fresenius and Dr. Arend Oetker. Together we stand for innovative entrepreneurship and value-driven governance. Our institutions are committed to practical relevance, personalized attention and support in modern learning environments that meet the demands of the labor market. Our primary objective is the personal and professional success of our customers.